The eerie environment of Buena Vista Street after dark is delicious spooky and wonderfully wicked, and it makes for a beautiful (though challenging) scene to photograph. The elements are all quite dramatic and photogenic, but the lighting contrasts in such opposing ways that the color balance can be very hard to fine-tune. Purples, golds, blues, and greens abound the scene. Somehow, they strike a supernatural harmony together--sewn into one as only Oogie Boogie would have it! 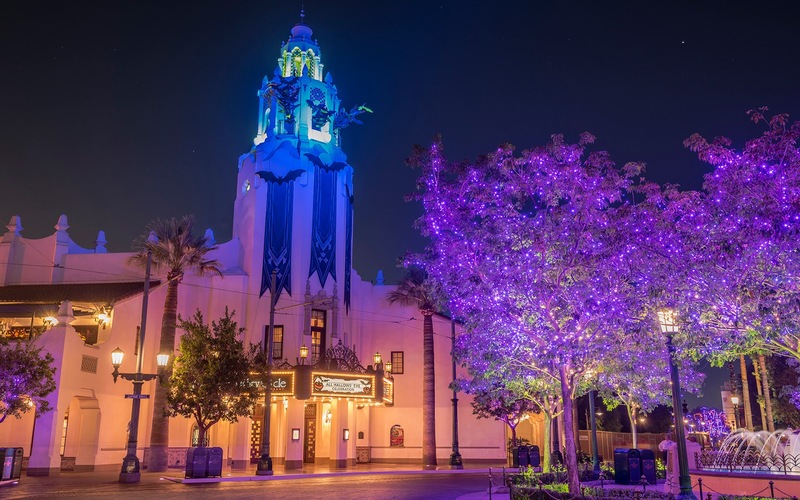 Carthay Circle in the Halloween hue.